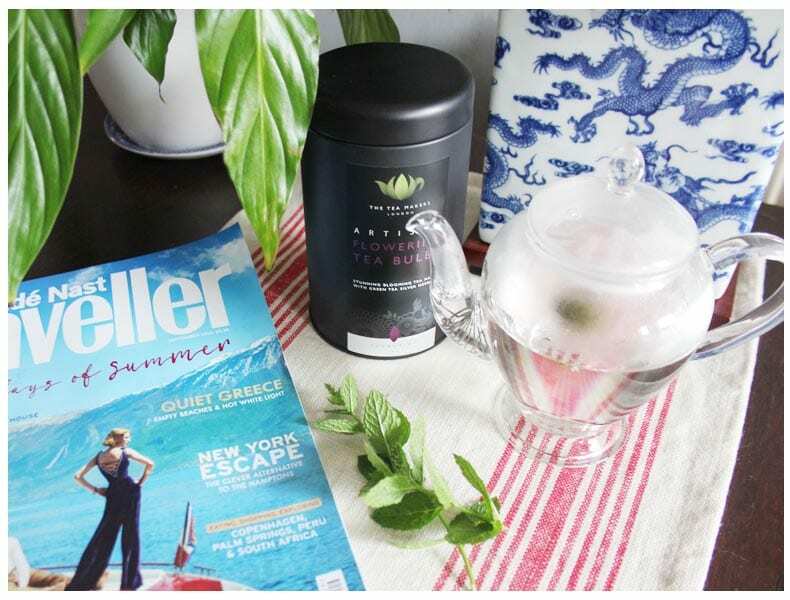 When the postman delivered a beautiful Glass Teapot with Flowering Tea Gift Caddy including 10 Bulbs from ‘The Tea Makers of London’ I immediately popped the kettle on, grabbed a magazine and settled down for a moment of quiet self-indulgence. The Flowering Tea Gift Caddy includes a fine selection of exquisite flowering teas including Jasmine, Rose, Melody and Oriental Beauty. 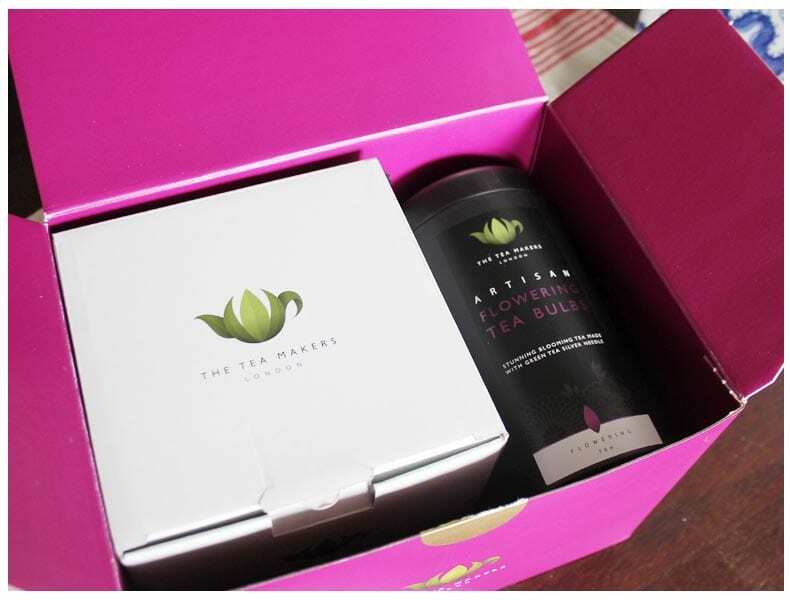 As an avid tea lover I’ve been lucky enough to try some impressive teas over the years and was so excited to sample a new variety of flowering teas. 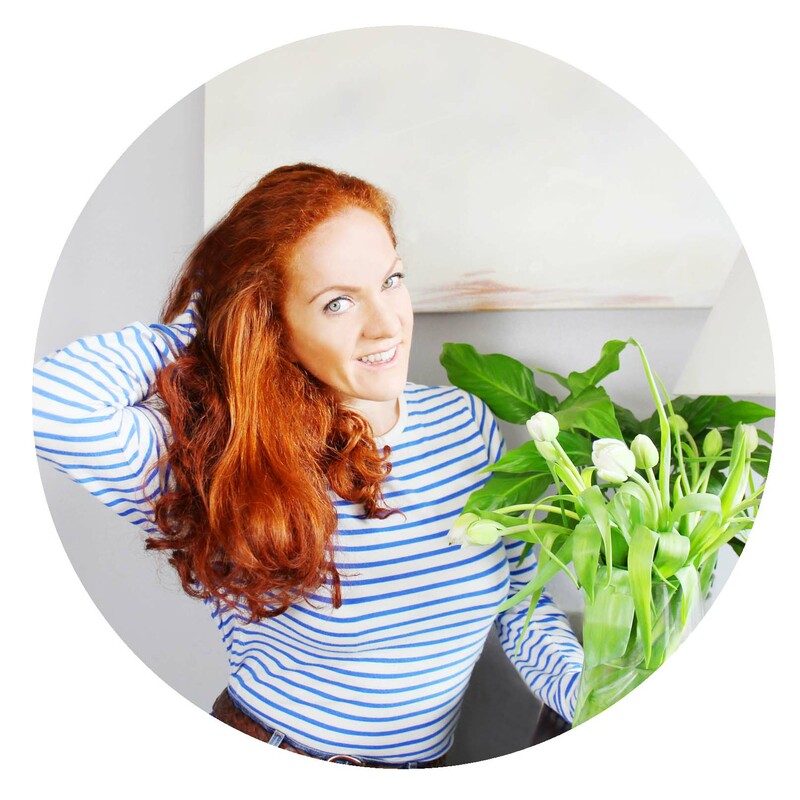 ‘The Tea Makers of London’ founder has over 10 years’ experience as a tea planter. 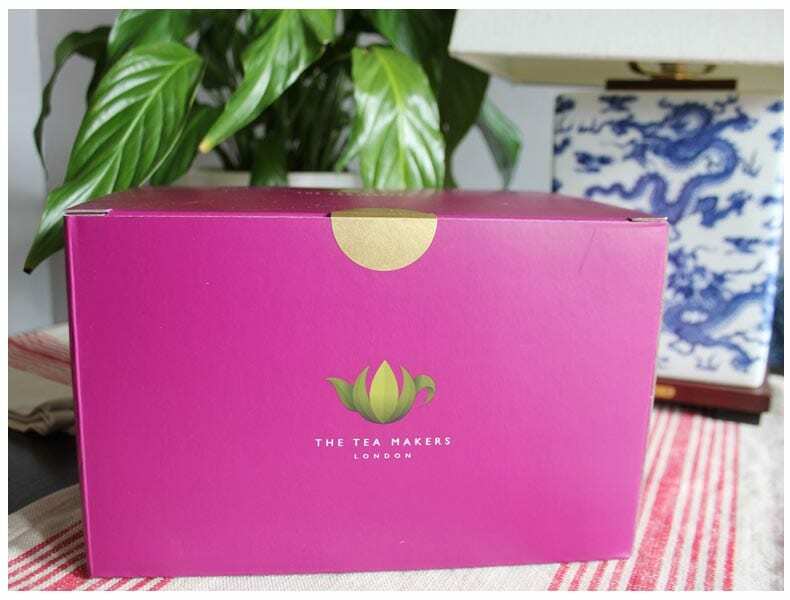 ‘The Tea Makers of London’ team works closely with tea producers from selected tea gardens across the world ensuring experts handpick all teas. Kicking off my shoes and settling in I poured the boiling water over the bulb and watched as the flower began to unfold. 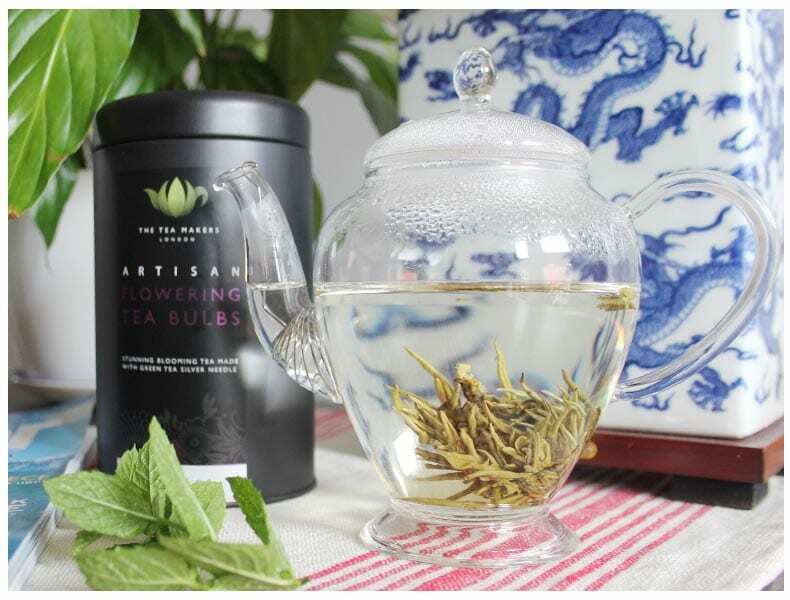 The flowering tea bulbs are delightfully aromatic with a delicate flavour and very exciting and stunning to observe. Throughout the week I’ve taken the teas into the office and the flowering teas have become somewhat of a post lunch spectators sport. Flowering teas recall their natural spring blooming, and, just as in nature, there is wide range of flowers and colours to enjoy, each bulb looks different with a variety of flowers in all-different colours. It’s so exciting when the bulb starts to bloom. You’ll also find that you can refill the Teapot at least three times without losing the flavour of the tea. 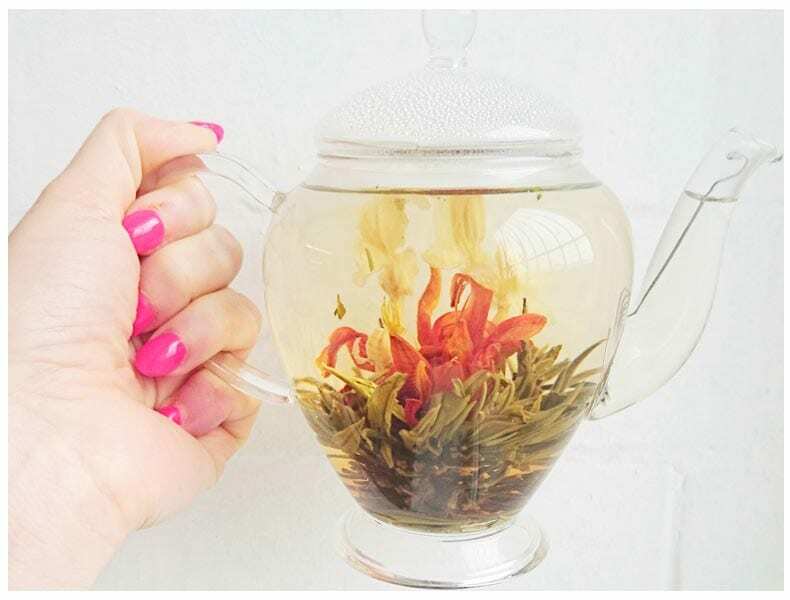 The Glass Teapot with Flowering Tea Gift Caddy would make the perfect present for any tea lover.